The ASKAP team has this week produced the first BETA spectral line image using six ASKAP antennas installed with innovative phased array feed (PAF) receiver systems, as part of ongoing commissioning tests at the Murchison Radio-astronomy Observatory (MRO) in Western Australia, the future site of the SKA in Australia. ASKAP is one of two Australian SKA precursor telescopes. It forms part of the Australia Telescope National Facility or ATNF, a collection of radio astronomy observatories operated and managed by CSIRO, Australia’s national science agency. 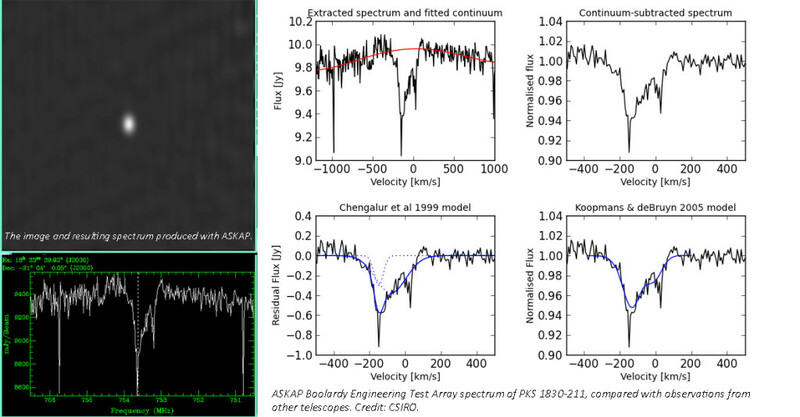 This milestone is quite significant for the ASKAP project – particularly in terms of the technical implications of demonstrating the success of the design of the system. Read the full story on CSIRO’s ATNF website.